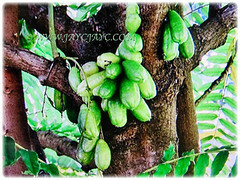 The Bilimbi Tree or Cucumber Tree is an ornamental and tropical plant that produces edible fruits. However, the fruit juice is sour and extremely acidic. 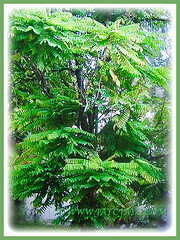 A versatile and long-lived evergreen tree that provides food, medicine and a wide range of commodities. Botanical Name: Averrhoa bilimbi (syn. : Averrhoa abtusangulata, Averrhoa obtusangula). 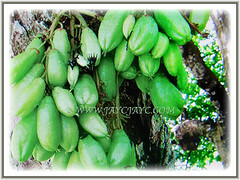 Common Names: Bilimbi, Bilimbi Tree, Cucumber Tree, Tree Sorrel, Belimbing Asam/Buloh in Malay. Etymology: The word Averrhoa is named in honour of Averroes, a 12th-century astronomer and philosopher from Al-Andalus. The species epithet bilimbi means a cucumber tree. Origin: Native to Moluccas, Indonesia and Malaysia. Plant type: An ornamental and perennial plant with edible fruits. 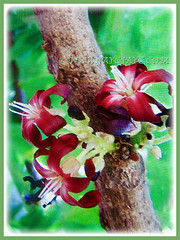 Features: Averrhoa bilimbi is from the genus Averrhoa that consists of about a dozen species of trees. The Bilimbi Tree is a small and fast-growing tree that can reach 5-10 m tall with sparsely arranged upright branches. 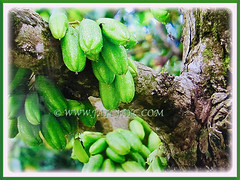 Bilimbi’s evergreen leaves, measuring 3-6 cm long and 1.2 cm wide are alternately arranged, imparipinnate and usually clustered at the branch tips. There are around 11-37 ovate to oblong leaflets. Their hairy leaves are quite similar to those of the Otaheite gooseberry. The short trunk and branches of the tree have to be exposed to sunlight for fruits to form which is achieved by removing leaves except from the branch end. The tree is cauliflorous with 18-68 flowers in panicles that form on the trunk and other branches. Small red to purplish-red flowers are borne in a pendulous panicle inflorescence. The 5-petaled flowers are scented. It produces fruits that are ellipsoid to obovoid in shape and turns from light green to yellowish-green when ripen. 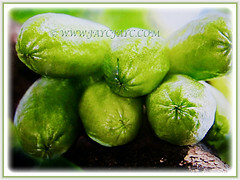 Each firm and juicy fruit measures about 4-10 cm long. Flowers and fruits are produced throughout most of the year. Seeds are smooth and brown coloured. When the fruit is ripe, it is crunchy, juicy, acidic and contains few, flattened and non-arillate seeds. A single tree can often yield many hundreds of fruits. 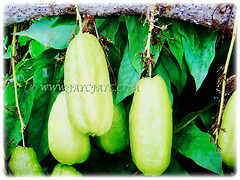 Averrhoa bilimbi is closely allied to the Averrhoa carambola (Starfruit) despite being very different fruits. 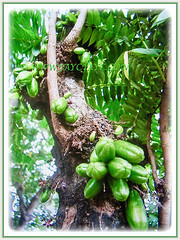 Culture (Care): Averrhoa bilimbi or Cucumber Tree can be grown easily with least maintenance. Moisture: Moderate water requirements. Overwatering may kill the plant as mucky soil will cause decay. Others: Once monthly feed your plant using a time-released fertiliser (8-3-9) to assist your Averrhoa Bilimbi tree to grow and produce a substantial crop. No pests or diseases have been reported specifically for the Bilimbi. 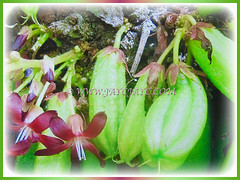 Averrhoa bilimbi or Tree Sorrel is essentially a tropical tree, less resistant to the cold than the Averrhoa carambola. It grows best in areas where annual daytime temperatures are within the range of 23-30°C, but can tolerate 10-36°C. Mature plants can be killed by temperatures of -3°C or lower, but young ones are severely damaged at -1°C. It is very susceptible to frost injury. It is a cold sensitive plant especially when very young, and needs protection below -1 to 4°C. As it mature, it gets somewhat hardier. Bring them indoors before the temperature drops below 4°C and provide lots of light. Provide a bright and sunny location for optimum growth and fruit production. Grows best in a location sheltered from strong winds. Propagation: Easily propagated from seeds. It can also be propagated by marcotting, budding and grafting. Usage: Averrhoa bilimbi or Tree Sorrel with its ornamental flowers are ideal to be grown in public parks and gardens, including small gardens. It is excellent for container gardening. A versatile plant that provides food, medicine and a wide range of commodities. It has many culinary uses, such as eaten raw with salt or sliced thin and added to salads, use in curries, sauces, be processed into candies, pickles, chutneys, etc. It is used as traditional medicine for the treatment of a variety of ailments in many regions of the world. In Malaysia, very acidic bilimbis are used to clean kris blades. 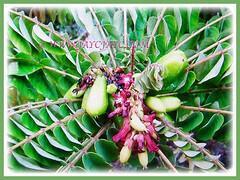 Also, the leaves are used to treat itch, cough and together with fruits, to treat syphilis. In Indonesia, the leaves are applied to boils and used to treat rheumatism, fever, diabetes and whooping cough. In the Philippines, the leaves are applied as a paste on itches, swellings of mumps and skin eruptions. A magnet to attract birds and is a caterpillar food plant.